The D-BOX is a transparent, audiophile-grade monitor controller for tracking, mixing and mastering with eight channels of Dangerous Music’s award-winning analog summing at an unbelievable price point. Legendary designer Chris Muth has developed a world-class circuit for the D-BOX that provides crystal clear fidelity and flawless performance across its flexible feature set. The D-BOX handles your input source monitoring, speaker switching, cue, talkback, headphone and mixing needs in just one rack space. 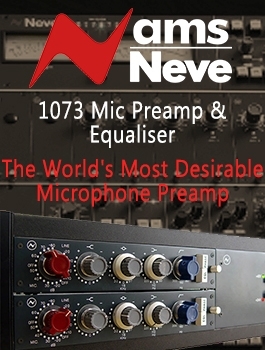 The D-BOX hosts reference-grade D/A conversion, switchable analog inputs between balanced +4dBu and unbalanced -10dBV, two powerful 20w/channel headphone amps, a built-in talkback mic, and a stunning analog summing mixer that will give your mixes the headroom and sonic dimensionality needed to achieve truly professional results. True craftsmanship is in the details. If you can’t hear the nuances of what you’re working on, then you simply can’t make informed decisions. Everything from placing a mic, to turning a knob on an EQ, to coaching a singer though a delicate passage depends on being able to hear exactly what’s going on. With the advent of “prosumer” gear, the monitoring path is typically sacrificed to meet a price-point, allowing what should be true craftsmanship to become guesswork. You simply can’t mix what you can’t hear. To solve this problem, the D-BOX incorporates audiophile-grade components in an unconditionally transparent design that reveals every last detail, allowing you to get things right the first time. 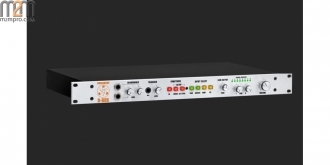 Additionally, the D-BOX routes all your digital signals through the same onboard reference-grade digital-to-analog converter, giving you the same unified monitoring experience used by the world’s best mastering engineers. Our award-winning active analog summing provides the increased headroom and vast sonic space needed to achieve truly stunning mixes. 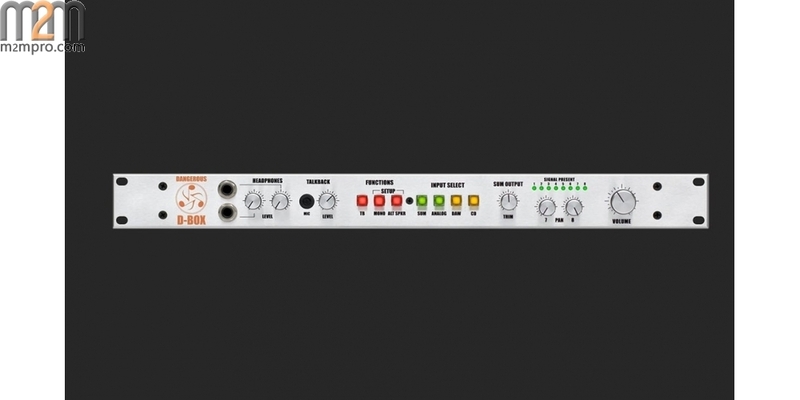 With the D-BOX’s analog summing mixer, your digital subgroups (or “stems”) are sent out of your session via your interface’s D/A converters to the D-BOX’s eight analog summing inputs, providing incredible headroom, dimensionality and clarity. No more collapsing mixes from shoving everything into a single digital fader, with the D-BOX panning becomes precise, reverbs and delays more engaging and clear, bass punchier, mids more detailed and the top end more open. Require even more channels of analog summing? 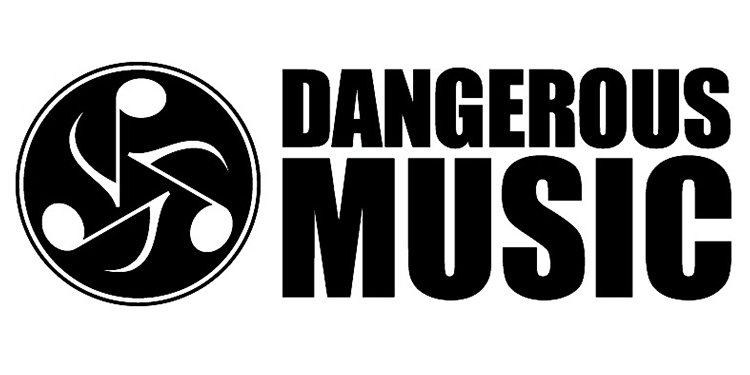 Simply expand with the Dangerous Music 2-BUS LT or the innovative 2-BUS+. As the centerpiece of your studio, the D-BOX handles all of your routing elegantly. There is the main stereo analog input, two digital inputs (both monitored through the same reference D/A), and two speaker outputs. 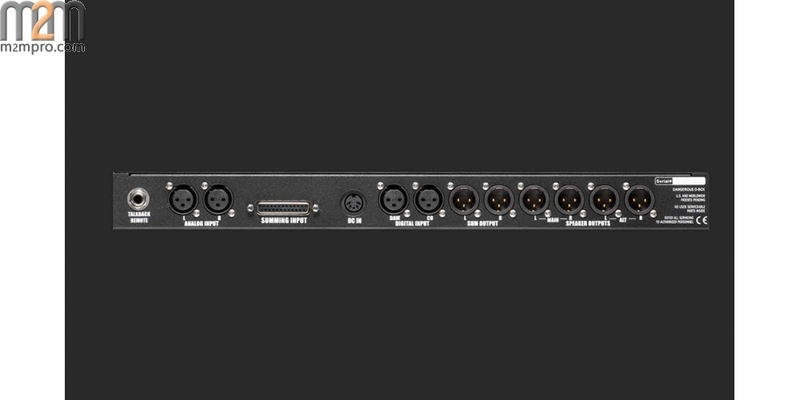 The D-BOX handles both professional (+4dBu) balanced inputs and commercial (-10dBV) inputs (like phones and laptops) with easily programmed input levels. The on-board talkback mic and the dual 20w/channel headphone amplifiers with separate level controls round out all the routing needs for any studio. It would be hard to overstate the number of modern productions that have gone all the way to the final mastering stage with all kinds of noises, over-compression, clipping distortion and other unintentional problems because the monitoring chain was not revealing these issues. If you get your monitoring path right – as we have with the D-BOX – you’ll avoid the painful and time-consuming repair work required when problems are missed during production. 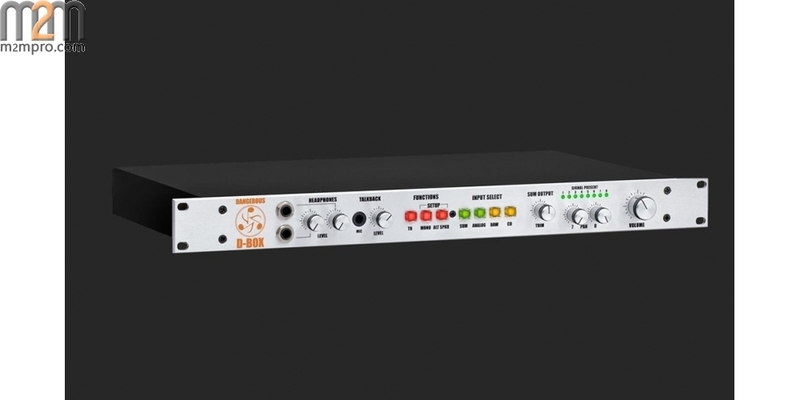 Add in the D-BOX’s crystal-clear analog summing, and even the smallest project studios can have the best monitoring and mixing technology available in just one elegant and easy to use rack unit. Transparent monitoring from a meticulous Chris Muth design. 8 Channels of unmatched analog summing. Enormous headroom, big soundstage, and superior sonic imaging. Two crystal clear 20-watt/channel headphone amplifiers. Accepts both professional (+4dBu) and commercial (-10dBV) analog signals. Select between two sets of monitors. Full talkback functionality with on-board mic.